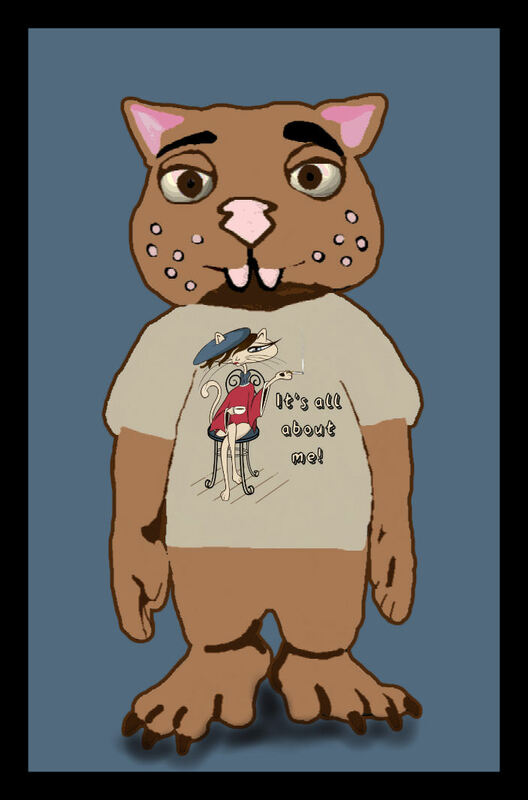 Debbie Adams, our very good friend and artist, dressed Fraz in her newest t-shirt design, “It’s All About Me”. It’s a sentiment that certainly reflects Fraz’s attitude, who usually thinks everything is about him. Debbie’s design is available in her store on shirts, mugs, buttons, and a whole lot more. You can also see the original Fraz It’s All About Me post on her blog.